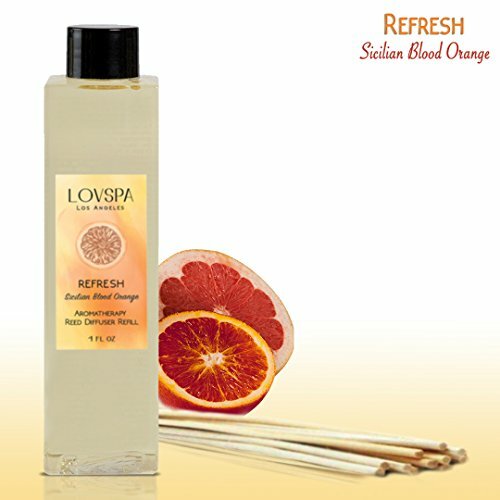 LOVSPA REFRESH Sicilian Blood Orange & Citrus scented reed diffuser refill combines the refreshing scents of blood orange, grapefruit and bergamot. This fragrance rejuvenates, energizes and creates a cheerful atmosphere. LOVSPA Fragrances is a leading lifestyle fragrance brand offering a variety of exceptional personal care, home fragrance and spa related products geared toward stress relief and relaxation. Stimulate your senses, bring balance to your mood and delight in your surroundings with LOVSPA Aromatherapy reed diffusers. Designed using the science of aromatherapy, LOVSPA will deliver benefits beyond the room freshener itself. All LOVSPA diffusers are made in the USA with rich, lasting fragrances. LOVSPA Aromatherapy reed diffusers make the perfect gift, even for yourself. Delight your senses and enhance your environment with the ultimate fragrance indulgence. Give any space a luxurious ambiance and love the air around you. 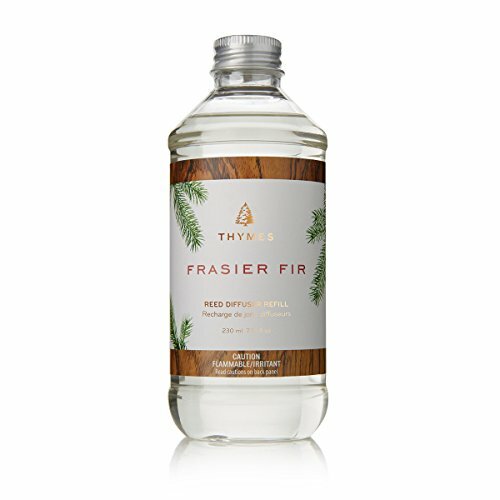 Refresh your Frasier Fir Reed Diffuser with this convenient refill. A unique home fragrance option that fills your home with crisp, just-cut forest fragrance of Frasier Fir. This best-selling favorite is a must-have to make any house a home this season. 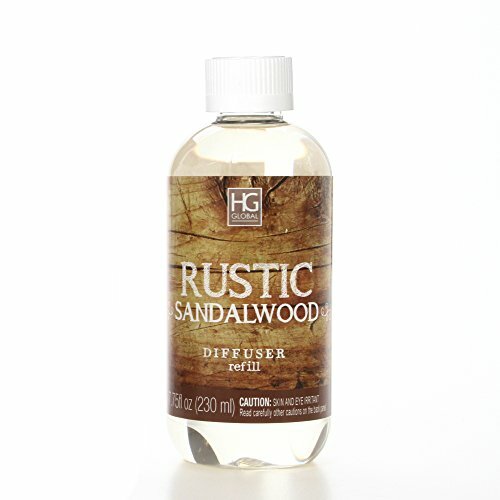 Aromatherapy Hosley® Premium Rustic Sandalwood Reed Diffuser Refills Oil, 230 ml (7.75 fl oz) Made in USA.FREE SHIPPING. Instructions: Pour diffuser oil into diffuser bottle. Insert 6 to 10 diffuser reeds. Caution: Skin and eye irritant. Do not ingest. Keep out of reach of children and pets. May damage finished surfaces if spill occurs. Keep away from open flames (do not heat). Contains fragrance oils. Color of oil may vary. 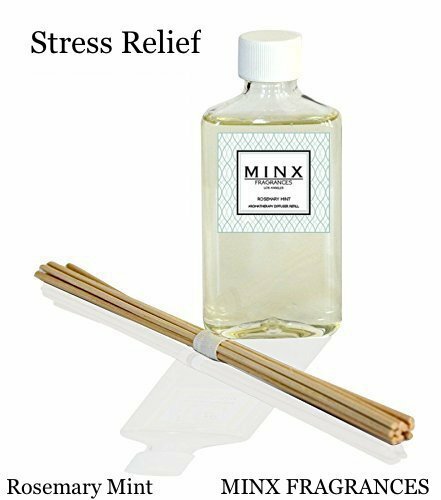 MINX Fragrances Diffuser refill set with reed sticks included. Fills the room with a fresh, natural fragrance made with premium-quality ingredients. Add the element of aromatherapy to your personal space, and enjoy your favorite fragrance around the clock without having to lift a finger. Turn reeds over once to expose oil-moistened diffuser reeds to the air. The oil will continue to wick up the diffuser reeds, scenting your room for several months. 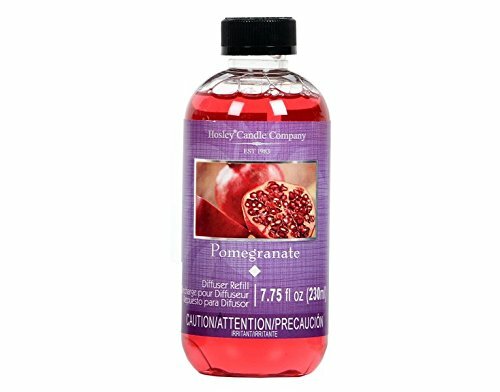 Hosley's Premium Pomegranate Reed Diffuser Refills Oil, 230 ml (7.75 fl oz) Made in USA.FREE SHIPPING. Instructions: Pour diffuser oil into diffuser bottle. Insert 6 to 10 diffuser reeds. Caution: Skin and eye irritant. Do not ingest. Keep out of reach of children and pets. May damage finished surfaces if spill occurs. Keep away from open flames (do not heat). Contains fragrance oils. Color of oil may vary. Hosley® Premium Cinnamon Swirl Reed Diffuser Refills Oil, 230 ml (7.75 fl oz) Made in USA.FREE SHIPPING. Instructions: Pour diffuser oil into diffuser bottle. Insert 6 to 10 diffuser reeds. Caution: Skin and eye irritant. Do not ingest. Keep out of reach of children and pets. May damage finished surfaces if spill occurs. Keep away from open flames (do not heat). Contains fragrance oils. Color of oil may vary. 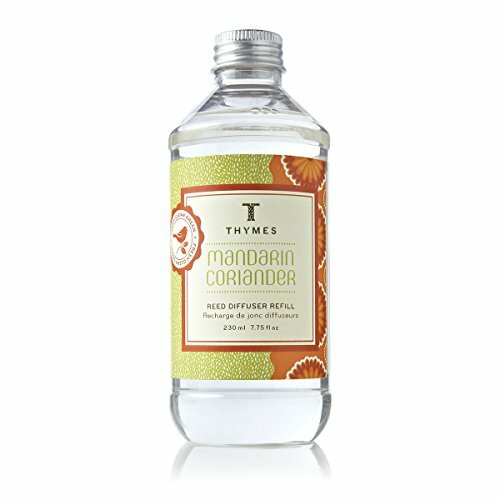 Lively mandarin oil. Robust coriander. Vibrant grapefruit. Calming lemon balm. Warm sweet marjoram. Fragrant rosemary leaf. Cozy Irish moss. Sacred Atlas cedarwood. Verdant green ivy. Refresh your Mandarin Coriander Reed Diffuser with this convenient refill. And bask in a wonderful home fragrance alternative that fills your home with a fresh, bright citrus scent that’s clean and inviting. Aromatherapy Hosley® Premium Eucalyptus Mint Reed Diffuser Refills Oil, 230 ml (7.75 fl oz) Made in USA.FREE SHIPPING. Instructions: Pour diffuser oil into diffuser bottle. Insert 6 to 10 diffuser reeds. Caution: Skin and eye irritant. Do not ingest. Keep out of reach of children and pets. May damage finished surfaces if spill occurs. Keep away from open flames (do not heat). Contains fragrance oils. Color of oil may vary. 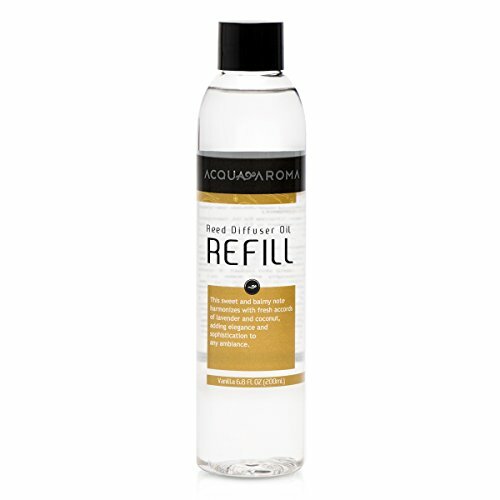 Refills intended for Acqua Aroma reed diffusers. Sweet and balmy notes harmonize with fresh accords of lavender and coconut, adding elegance and warmth to any ambiance. Made with high-performance fine fragrances and the best raw materials, Acqua Aroma products are of superior quality providing a pleasant and comfortable scent. Sun-dried cotton combined with green notes, white flowers and a hint of lemon.Fragrance Notes:Top: Ozone, Leafy Greens, BergamotMid: Lily of the Valley, RoseBase: Vetiver, Cedar, Musk, Woody NotesTop note is the initial impression of the fragrance, middle note is the main body of the scent and base is its final impression. About Reed Diffuser Fragrance Oil: Easily replenish your favorite fragrance. These convenient refills are designed especially for use in our Yankee Candle reed diffusers, so can you continue to enjoy them again and again. Select from an assortment of fresh, sophisticated and seasonal fragrances.. Copyright © Wholesalion.com 2019 - The Best Prices On Reed Diffuser Fragrance Refill Oil Online.